Want a better bottom? Who doesn’t? 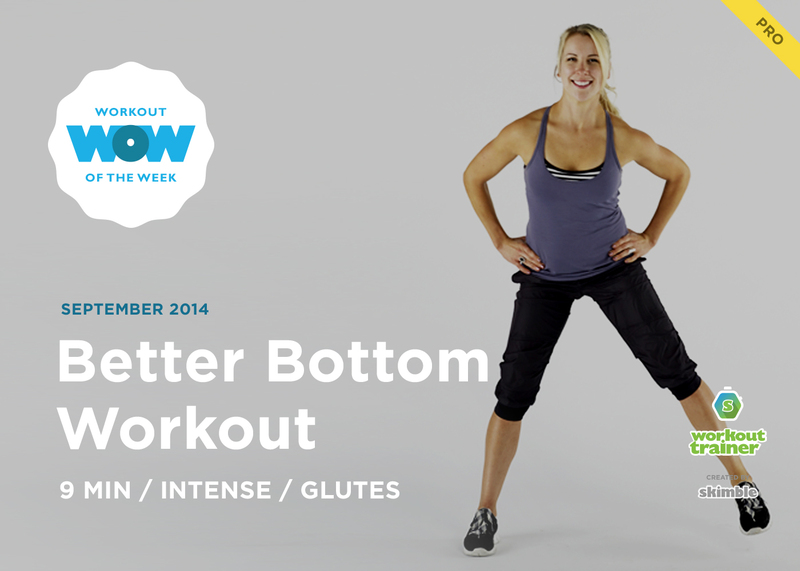 Do this tabata-style workout with a 1-minute glute finisher for a quick lower body blast! If you really want this to work then give it all you’ve got with max repetitions for each exercise. Do you have a fitness resolution? Make progress towards achieving your goals with Skimble’s top fitness apps and supportive community. If you’re new to Skimble, our Workout of the Week challenges offer you fresh ways to be fit. Download Workout Trainer on your Android & Apple devices and do your first workout! Remember, if you want to stay up-to-date with our Workout of the Week challenges, be sure to have your Workout Trainer notifications turned ON in the app!